CLEVELAND, November 7, 2018 /3BL Media/ — KeyBank Community Development Lending & Investment (CDLI) provided Cook Inlet Housing Authority (CIHA) $6.9 million in combined construction-to-permanent loan financing for the development of Elizabeth Place Apartments, along with $5.8 million in LIHTC equity. 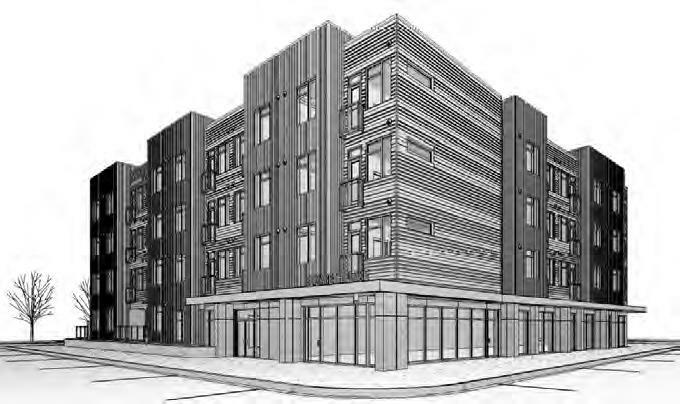 Elizabeth Place Apartments will be a mixed-use project in downtown Anchorage, AK with commercial space and 38 units of affordable housing for those earning between 50 – 60% area median income (AMI). The project will also have 12 market rate units. Elizabeth Place Apartments will feature 2,680 square feet of ground floor commercial space and a total of 50 housing units. Among the 38 affordable housing units, 15 will be fully equipped for those persons with sensory and mobility impairments, 10 units will be set aside for those who are otherwise differently abled and four will be set aside for those experiencing homeless. CIHA is partnered with a range of local organizations—including, but not limited to, the University of Alaska, the YWCA, the Red Cross, Providence Alaska, Ninestar, Credit Union 1, Alaska Injury Prevention Center, Junior Achievement and the Catholic Social Services—that can offer on-site services supporting the social, physical and mental well-being of residents. Programming is focused on five core areas: college and career exploration; financial self-sufficiency; health and wellness; resident engagement and building community; and safety and emergency preparedness. Victoria Quinn and Beth Palmer Wirtz on KeyBank’s CDLI team arranged the financing.